The Tantã is a percussive instrument consisting of cylindrical type of side drum similar to the brazilian atabaque with a wooden or aluminum shaft. Each effect has been made to enhance the sample intelligently. 343 Samples. Recorded using Apogee converters and preamps. Everything recorded at 44100Hz, 24bit. The samples offer from the slightest touch to the strongest attack providing more freedom to create dynamic rhythms and beats. Use the convolution reverb and create a perfect environment. Unlike other Brazilian libraries each instrument is recorded with dry ambience preserving the real character of the instrument. Mic Placement. 3 microphones were used in different positions. Mix or use the sound you like within the mix. 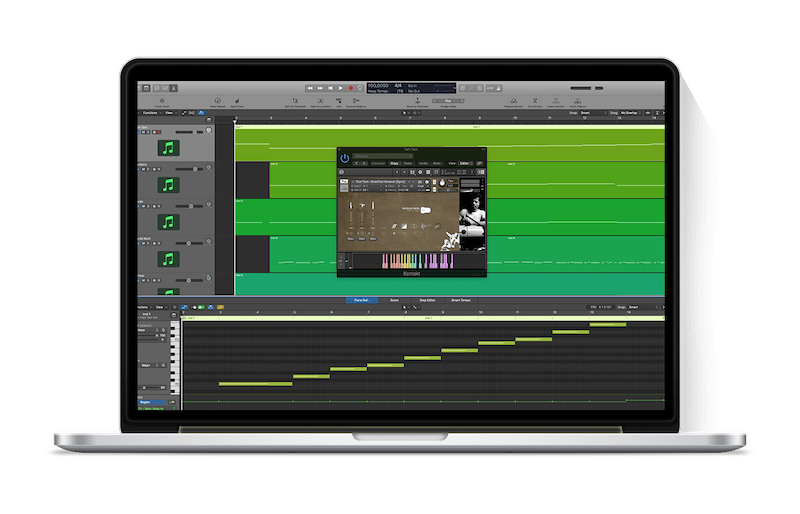 Full Retail Version of Kontakt 5.6 (or later) Required. Muletone Audio presents the Brazilian Series. Instruments from Brazil with a unique focus in their playability and their musical language. With an entirely Brazilian production muletone explores each instrument in minute detail. Unlike others libraries the Brazilian Series brings a real depth and perspective of Brazil’s instruments respecting their individual characteristics. The Tantã is a percussive instrument consisting of a cylindrical type of side drum similar to the brazilian atabaque with a wooden or aluminum shaft. It has an animal or polyester skin drum head on only one of its sides. Its diameter can vary though the most used is one is the 12″ tantã also called rebolo in Brazil. This instrument is used to set the rhythm and it’s played with the hands usually to play samba and other brazilian rhythms.In capoeira up to three berimbaus each one with a distinct function can be used. Created by Sereno, a brazilian sambista musician of Rio de Janeiro member and one of the founders of the pagode group Fundo de Quintal. He was introduced into samba to replace the surdo another type of percussive instrument on the samba reunions “rodas de samba” of Cacique de Ramos, in the late 1970s. The tantã was recorded by the great musician and percussionist Robson “Batata” renowned Brazilian musician.